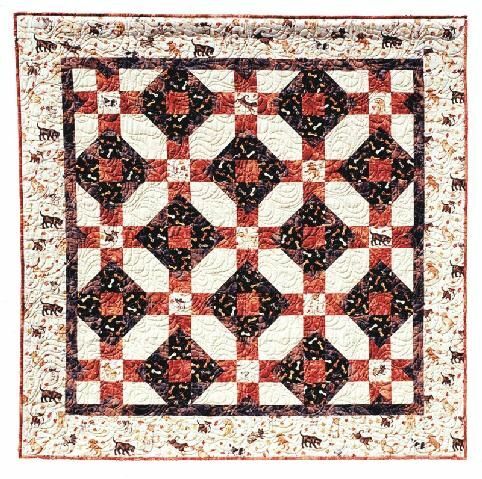 A two-block quilt that utilizes half and quarter-square triangle units that are sewn without bare bias edges. These units create a star and octagon blocks, with fussy cut star centers. Directions include four sizes. A one day workshop/class gets everyone started on the blocks.